New Jersey is the most developed state in the country, with 31 percent of the state’s land in urbanized uses as of 2002. Another 40 percent is permanently preserved or environmentally constrained, leaving only 29 percent available for future development. In an increasing number of municipalities, any future development is going to be redevelopment. The percent of New Jersey households containing children under age 18 has been falling steadily, to the point that two-thirds of New Jersey households are now child-free. Yet the share of New Jersey’s housing units having nine or more rooms has been climbing, from 9.8 percent in 1990 to 10.9 percent in 2000 to an estimated 11.6 percent in 2007. Increasing interest in environmental sustainability is inspiring greater attention to the form of our built environment and how it shapes our behavior. Center-based development is good for the environment because it reduces the need to drive. The authors of the recent report Growing Cooler calculate that shifting 60 percent of new growth to compact patterns nationwide would save 79 million tons of CO2 emissions annually by 2030. These trends and others will shift New Jersey toward a new market-driven development model focused on smaller homes in reinvigorated neighborhoods, often near transit, rather than the suburban sprawl of the past half century. Learn more at the 2010 Redevelopment Forum on Friday, Feb. 26. So goes the refrain from real estate market expert Jeffrey Otteau, president of Otteau Valuation Group, Inc., and featured breakfast speaker at New Jersey Future’s upcoming Redevelopment Forum on Friday, Feb. 26, at the Hyatt Hotel and Conference Center in New Brunswick. Mr. Otteau makes this claim for a number of reasons, some recent and acute, others more long-term but systemic. Since the 1950s, development in New Jersey has followed a pattern of ever-outward expansion, with new subdivisions of ever-larger homes appearing at the suburban fringe (and necessitating longer commutes), while the state’s urban centers, older boroughs and first-ring suburbs suffered from disinvestment. But recent stresses have called the wisdom of this pattern into question. The bursting of the housing bubble has prompted buyers to re-evaluate how much debt they are willing to take on in order to buy a bigger house. And 2008’s high gas prices had some exurbanites regretting the “drive till you qualify” strategy of accepting a long commute as part of the price of a cheaper house farther away from work. 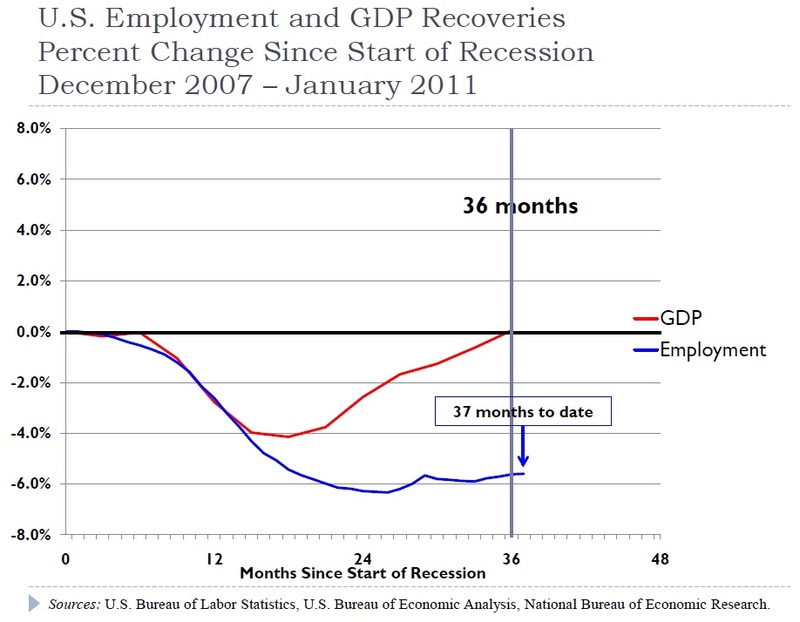 Even absent the foreclosure crisis and high gas prices, however, Mr. Otteau cites longer-term trends that have recently begun pointing in the direction of more compact, center-based, transit-oriented development—economic and demographic changes that will reshape our economy for decades to come. The percent of households with children has been falling, both in New Jersey and nationwide, depressing demand for large houses with large yards. The baby boomers are poised to begin retiring in large numbers as the leading edge of the cohort turns 65 next year; many of them will respond to their reduced incomes, reduced need for space and increased free time by seeking more modest housing in walkable neighborhoods in closer proximity to urban amenities. “Generation Y” will soon be entering their peak earning years and are much more pro-city than their parents’ generation, meaning many of them will aspire to settle in already built-up areas. And increased interest in environmental sustainability is drawing attention to the role played by development patterns in determining how much we need to drive. Mr. Otteau says that, for these reasons and more, real estate demand “is in the process of circling back to the way things used to be, with jobs and housing concentrating in compact neighborhoods, often near transit”—a condition he refers to as the “European model.” Indeed, there are early signs that this is already happening, both in New Jersey and nationally, with many cities slowing or even reversing population losses that have persisted for decades. New Jersey is well-positioned to take advantage of the coming reality. With a quarter of the state’s municipalities (138 out of 566) hosting rail transit stations—many with untapped development potential in the surrounding area—and with 10.7 percent of commuters already in the habit of riding transit to work as of 2007, the state is particularly well-suited to promoting transit-oriented development. Furthermore, the construction of a new rail tunnel under the Hudson River will double train capacity into Manhattan, likely inducing new demand for transit-oriented development throughout the NJ TRANSIT system. With much of New Jersey’s development predating the age of the automobile, redevelopment opportunities are everywhere. More than half (307) of New Jersey’s 566 municipalities have fewer residents in 2008 than they did at their peak, indicating the potential capacity to absorb additional residents. Newark, Jersey City and Hoboken are showing how to take advantage of these opportunities; despite being essentially fully built-out, these three cities together accounted for 10 percent of all the building permits issued statewide between 2000 and 2008. New Jersey is blessed with many historical advantages that can enable it to capitalize on the coming changes in housing demand and lifestyle choices. State agencies, municipal leaders and citizens are advised to recognize that these changes are coming and to benefit from them by preparing the ground ahead of time. 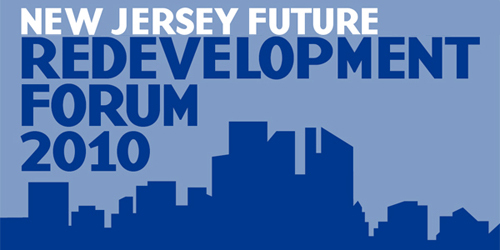 New Jersey Future’s Redevelopment Forum on Feb. 26 is an excellent opportunity to learn from experts about how to facilitate sound, community-oriented redevelopment in New Jersey. Click here to register today!